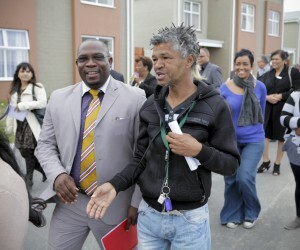 Western Cape Human Settlements Minister, Bonginkosi Madikizela, handed over keys to elated residents for the first Finance Linked Individual Subsidy Programme (FLISP) units at the Fountainhead Blue Downs development recently. It was a wonderful day for families at the new Fountainhead Development in Blue Downs when they received the keys to the proud new homes. This ceremonious occasion was honoured by Human Settlements Minister, Bonginkosi Madikizela, who officially cut the blue ribbon to hand over the first FLISP units in the development. This type of financing is linked to a subsidy that ensures that low income earners can access bonds and finally realise the dream of being a homeowner. 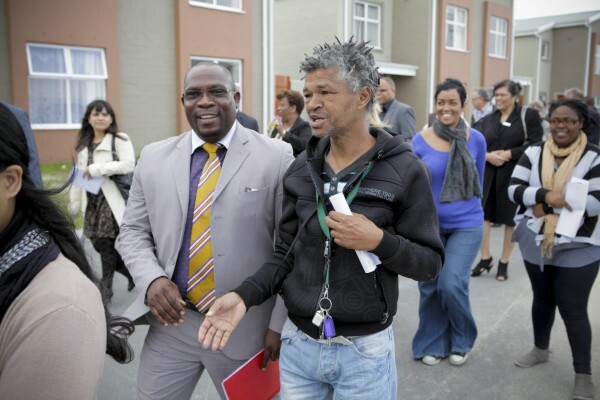 After a brief welcome, the developer Motlekar Cape’s Rieger van Rooyen went on to provide a comprehensive overview of the project, its goals, strategic community-driven objectives and the opportunity that more families now can proudly own their homes. This was followed by Minister Madikizela, who expressed his admiration for a development of this nature and its ability to instil pride into individuals in relation to community living. He further re-iterated that it was a well-constructed business model in which first-time buyers could afford to purchase units in a subsidised complex and it afforded everyone an equal opportunity to become homeowners. As part of its development aspirations, Motlekar Cape has partnered with financial institutions and government departments to create structured solutions in support of socio-economic upliftment and community integration.